This app gives me life! It’s so simple and it’s my second brain at Christmas time! I would suggest an option for writing thank you notes. 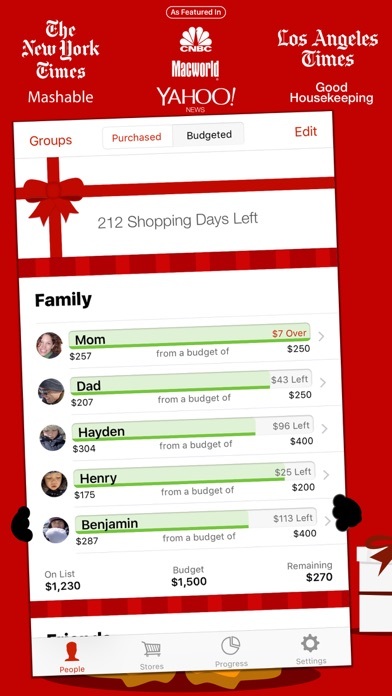 Have used this app for 3-years now and I can’t imagine Christmas gift buying without it! 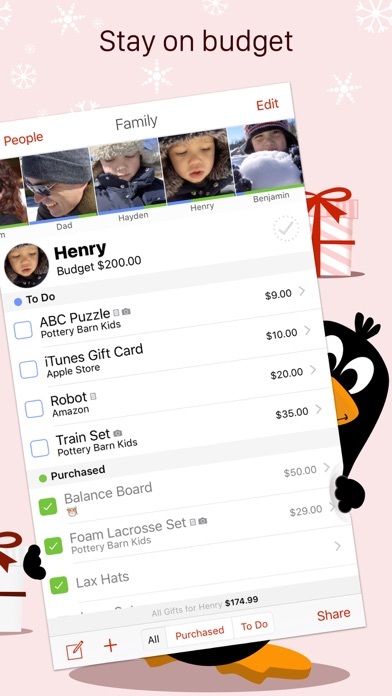 I use it all year long, as I see or think of gifts I want to buy. Simple and easy to use. Thank you!!! Love the app!! Keeps me organized and on budget. Great way to keep track of online purchases and deliveries!! I have used this app for several years. 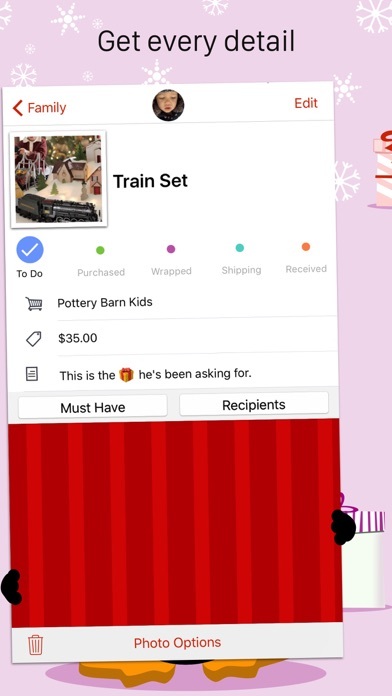 I tried several alternate Christmas gift apps, but ran back to this one. Love the grouping, the running budget totals and ease of use. I also like the ability to archive the whole years gifts to avoid repetition gifts. 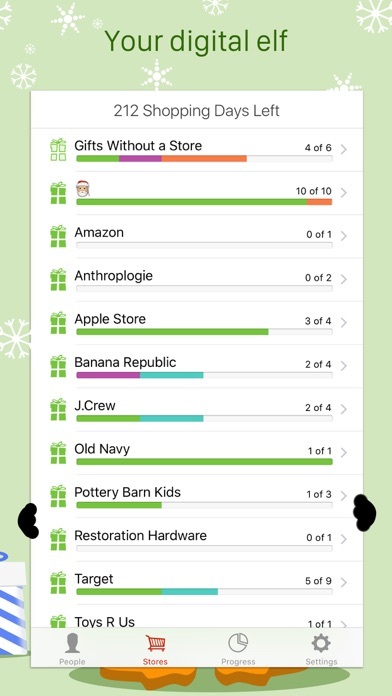 I have used this app for 3 years - easily archived gift history annually. Keeps me ahead of the madness as I make purchases in November and December and can keep it all straight. This year I gave to 38 people, in 9 groups. So worth it! 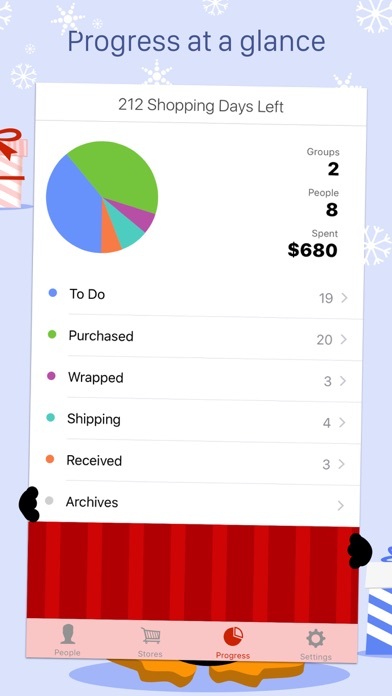 As I was finishing the wrapping this Christmas, I was struck by the ease and organization of this app. I’ve been using it for years. I am so grateful it exists! Thank you!! !